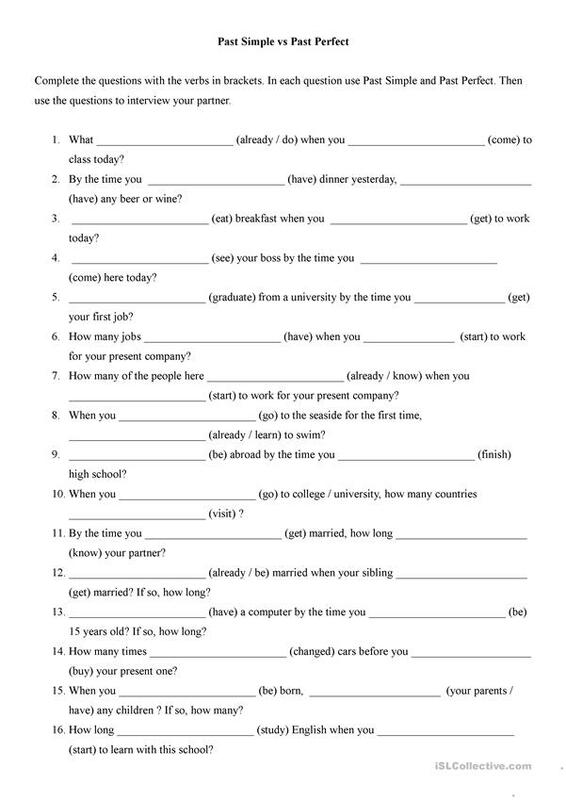 The objective of this worksheet is to practice Past Simple and Present Perfect by completing questions and then using them actively to interview another student. Topic: general, ranging from family, travel and life experiences to work and study. The above downloadable worksheet is recommended for adults at Intermediate (B1) level. 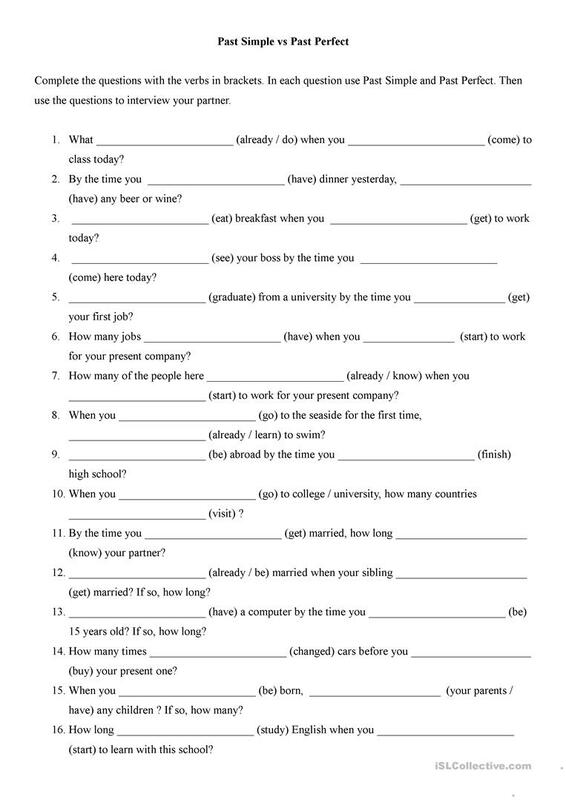 It is great for teaching Past perfect simple tense, Past simple tense and Questions in English, and can be used for developing your students' Speaking skills. It focuses on the topic and words of Socializing, small talk. satie is from/lives in Poland and has been a member of iSLCollective since 2011-03-21 09:52:57. satie last logged in on 2017-03-21 12:59:37, and has shared 1 resources on iSLCollective so far.